1SportsTalk is your ONLY place for Fantasy, News, Injuries, Predictions, and everything in between for NFL, MLB, NBA, WWE, NHL, MMA, and more! NFL Week 6 2017 Predictions! Power Rankings and NFL Week 6 Preview/Fantasy!! The ONLY Place to turn to hear REAL FOOTBALL TALK! NFL Week 6 Predictions and Fantasy Projections for NFL Week 6! Mike Yellak opens the program praising the Eagles however warns everyone; the Eagles will lose Thursday Night against the Panthers. The callers began calling into the show, and were mixed on who was going to win the NFC Beast Match-up with the Eagles/Panthers. Rob Guarino then joined the show and predicts an Eagles WIN by 1 point, after giving an update on the Winter Weather Forecast for the East Coast. Harry Mayes from 97.5 the Fanatic (Co-Host of Middays from 10AM-2PM) joined the program, discussed everything from Ted Nugent, how he started in this business, why we cannot talk about the Superbowl; even with a win against Carolina, and lastly after going over the schedule; he SHOCKS everyone with what he has the Eagles record being at the end of the year. A MUST-LISTEN to segment for sure! The callers then begin giving their predictions for the NFL in week 6, and the state of the NFC! A quick hitting review of NFL Week 5, and then the latest Power Rankings in the NFL (As of Week 6). Then, the VERY Popular, always imitated, never duplicated, THE EPIC PICKS OF THE WEEK - NFL WEEK 6 VERSION! Latest Breaking News/Injuries, and Mike Yellak promising an Eagles LOSS to end the program. 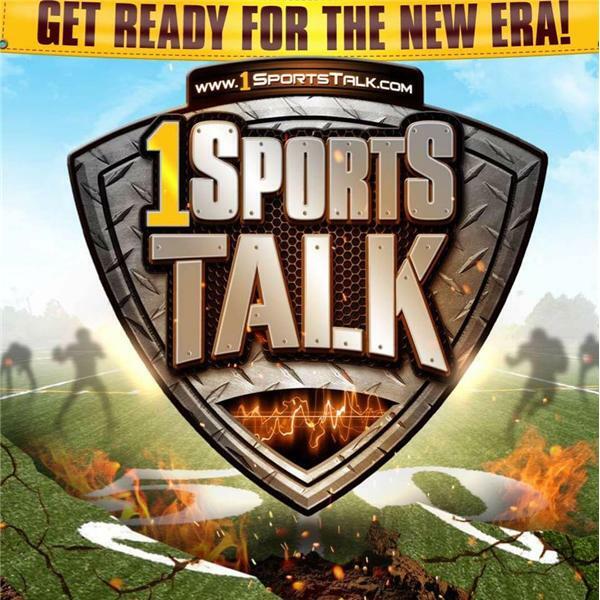 LIKE US: Facebook.com/1SportsTalk TWEET US: Twitter.com/1SportsTalk Check back LIVE! Wednesday October 18th, from 8:30PM - 10PM, and TUNE IN TO THE SHOW!! NFL Week 1 2018 Predictions! Who will win each division? Will Eagles repeat? EAGLES ARE SUPER BOWL CHAMPIONS! This is it! The Celebration Show/Season Finale! Eagles are in the Super Bowl! Patriots/Eagles Preview, This is it! - SUPERBOWL!! NFL Conference Championship Weekend 2018 Preview, HUGE Show, and Special Guests! NFL Divisional Round Weekend 2018 Preview/Predictions! NFL Wildcard Weekend 2018 Preview/Predictions! NFL Week 16 2017 Predictions! Power Rankings and NFL Week 16 Preview/Fantasy!! NFL Week 15 2017 Predictions! Power Rankings and NFL Week 15 Preview/Fantasy!! NFL Week 14 2017 Predictions! Power Rankings and NFL Week 14 Preview/Fantasy! !